With more than 16,000 traffic accidents occurring per day, you need to make sure that your company's vehicles and the employees driving them are protected. After all, you are trying to run an efficient business, and by selecting the right commercial auto insurance for your Jacksonville business, you can affordably and comprehensively protect your property and your employees. With accidents taking place so regularly, make sure that the insurance for your business vehicles is provided by an insurance company that will be there for you during a claim, like Alliance & Associates Commercial Insurance Agency. We don't just insure business vehicles in Jacksonville. Business vehicle insurance is also available in Palm Coast, Lake City, Palatka, Gainesville, Orlando, or Tampa through us. Vehicle types and business usage can be excluded from personal auto insurance policies. This is because those same personal policies were never intended to be used for the everyday work of a business. Personal auto insurance policies are written and rated different than commercial policies. By getting a commercial auto insurance policy for your Jacksonville business, you are properly protecting your business and ensuring that all damages and injuries can be monetarily covered at a more affordable rate for your business. Do You Need Commercial Auto Insurance in Florida? If your employees operate the vehicle or if the ownership of the vehicle is under the name of a corporation, you must have a commercial auto policy. Towing a trailer or hauling considerable weight in equipment and tools in the course of your business may lead to the need of commercial auto insurance. 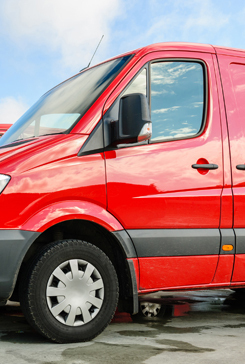 If your vehicle is being used to transport people or goods for a fee, or if you are conducting a service with your vehicle, you generally need a commercial policy. A commercial auto insurance policy may be required if the nature of your work yields the need for high limits of liability. If your Jacksonville business needs commercial auto insurance, contact us or call Alliance & Associates Commercial Insurance Agency at (904) 494-8898! We insure business vehicles in Jacksonville, Palm Coast, Lake City, Palatka, Gainesville, Orlando, and Tampa, FL, and all points in between.